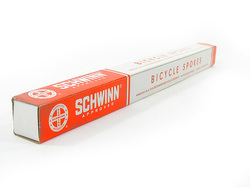 Box may show minor signs of tearing and denting given the vintage nature of the product. These spokes will appeal to the collector in all of us. 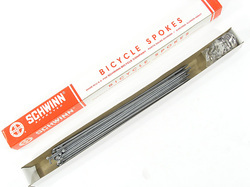 Like new packaging will look nice in a display case or use the spokes to replace the broken ones on your old Schwinn Cruiser. You would have to measure your existing spoke to see if this is the size you need. If these aren't the right size, we can custom cut the right ones for you! Just give us a call!